Pereira, the first female to be appointed in that capacity, said last week, that it is an honour and pleasure to be considered for that position, and pledged to do the job to the best of her ability. 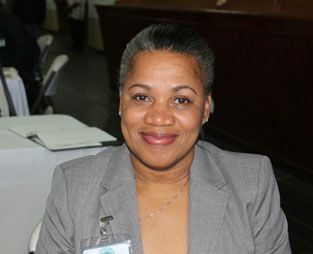 The British Virgin Island native, who replaced Sir Hugh Anthony Rawlins as of August 1 this year, was at the time addressing the opening of the ninth OECS Law Fair, which took place here from September 14 to16. She used the opportunity to congratulate the organizers of the event, the Organization of East Caribbean States (OECS) Bar Association, for the strides made over the years in terms of making the event an annual affair. She called the law fair a great and stimulating learning experience. âIt is always an opportunity when the OECS Bar meets on an occasion such as this, because it allows free exchange of ideas, and of information. It also allows for learning from each other, and to discuss all of the areas of mutual concern with regard to the administration of justice, which in turn leads to the continued protection and preservation of the rule of law,â the acting Chief Justice said. The opening ceremony was also addressed by Prime Minister and Minister of Legal Affairs Dr Ralph Gonsalves, who used the opportunity to congratulate Pereira on her appointment. âI feel very proud to be someone from the OECS, that in the region, we have the first lady as Chief Justice. She is a woman of scholarship, of splendid judgment, a woman of dignity. She is an extraordinary example of Caribbean woman, and we love her very much for all she has done and we look forward to additional contributions to an industrious career thus far,â Gonsalves stated. President of the OECS Bar Association Tapley Seaton also congratulated Pereira on the assumption of the office of Chief Justice. Seaton said that OECS Bar Association pledged its continued support to Pereira, as she deals with various challenges of administration, judicial management and other issues. The 9th OECS Law Fair saw the gathering of regional and international bar associations, with the intent of providing continuing legal education to members of the profession. While here, the members of the fraternity participated in a number of lectures, the law book exhibition and panel discussions.